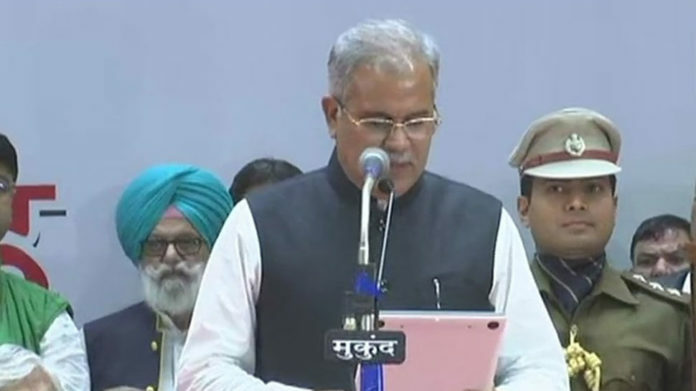 Raipur: Senior Congress leader Bhupesh Baghel on Monday took the oath as the Chief Minister of Chhattisgarh. 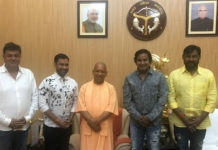 The oath-taking ceremony took place at Balbir Singh Juneja Indoor Stadium in Raipur. TS Singh Deo and Tamradhwaj Sahu took oath as ministers. Former Chhattisgarh chief minister Raman Singh and senior Congress leader Motilal Vora were also present at the swearing-in ceremony. The event was also graced by Congress president Rahul Gandhi, former prime minister Manmohan Singh and several other leaders. Earlier in the day, the venue of the swearing-in ceremony was changed due to incessant rain in Chhattisgarh’s capital since morning. The ceremony was slated to take place at the Science College grounds. 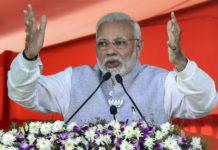 Congress stormed to power in Chhattisgarh in the recent Assembly elections, winning 68 seats and ending the 15-year rule of the Raman Singh-led BJP government in the state.